So, a big tobacco company puts up $1 billion over twelve years to fund a foundation with an objective “to accelerate global efforts to reduce health impacts and deaths from smoking, with the goal of ultimately eliminating smoking worldwide“. I certainly share that goal or something like it (see my ‘endgame’ scenario), and would like to see plenty of money spent wisely on pursuing that cause. But then there is the issue of a big tobacco company putting up the money. An alarming report from the UK has revealed that local government is continuing to force vapers out into smoking areas – and the number of councils doing this is actually rising. Meanwhile, in Australia, prominent tobacco control experts are pushing back against the country’s reactionary health establishment by calling for legalisation of vapour products. 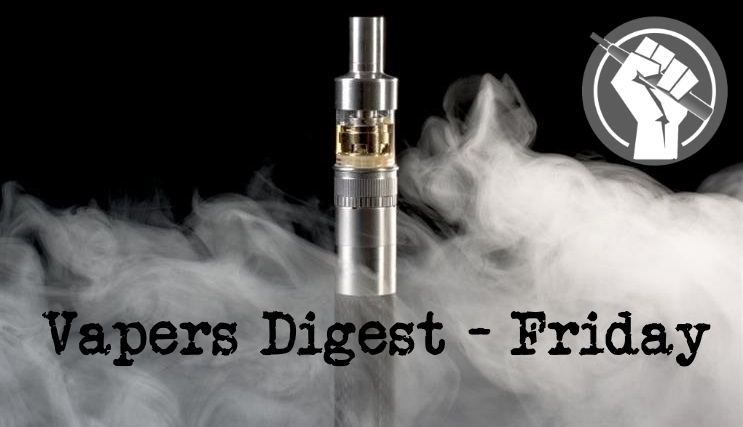 Libertarian advocacy group The Freedom Association released its latest report into how British local councils are treating vapers this week, and the results paint an alarming picture. Although electronic cigarettes (ECs) are a much less harmful alternative to tobacco cigarettes, there is concern as to whether long-term ECs use may cause risks to human health. We report health outcomes (blood pressure, heart rate, body weight, lung function, respiratory symptoms, exhaled breath nitric oxide [eNO], exhaled carbon monoxide [eCO], and high-resolution computed tomography [HRCT] of the lungs) from a prospective 3.5-year observational study of a cohort of nine daily EC users (mean age 29.7 (±6.1) years) who have never smoked and a reference group of twelve never smokers. A number of health organizations and charities are highlighting the importance of supporting smokers who suffer from mental health conditions, by giving them access to smoking cessation tools such as electronic cigarettes. In a statement titled, ‘Why smoking and mental health matters’, the Mental Health & Smoking Partnership pointed out that since smoking retains a strong presence in mental health settings, e-cigarettes and other harm reduction tools should be made easily available in such contexts. Anti-tobacco groups are blitzing Minnesota towns, trying to get them to enact “Tobacco 21” laws. These laws would raise the legal age for buying vapor products, cigarettes and other tobacco products from 18 to 21. To do this, these groups aim to abuse imperfections in the American system of governance. Tobacco controllers are notorious for ignoring the collateral damage their tactics cause. They pursue their special interest politics with what can only be described as religious zeal that ignores all of humanity’s other concerns. An abstract at the American Heart Association Scientific Sessions evaluated the acute effects of exposing mice to a heated tobacco product (IQOS) on endothelial function in comparison with a tobacco cigarette. The study found that IQOS had the same adverse effects on Flow-Mediated Dilatation (FMD), a marker of endothelial function, as the tobacco cigarette. Vaping is often recommended as a helpful way to quit smoking. With doctors getting on board, MPs supporting vaping and even this year’s Stoptober campaign featuring e-cigs. But did you know that vaping companies such as Blu and 10 Motives are actually owned by Big Tobacco? Interestingly enough, this correlation doesn’t end there and quite a few vaping brands are owned by the tobacco companies they’re trying to steer customers away from. To find out who owns who, who looked at the top major vaping brands and traced back their parent companies. I remember back in 2007 when the English smoking ban came in, the reaction from politicians and health zealots was nauseating. If it was truly about protecting bar workers’ health, they may have said something like “we’re really sorry smokers, we realise this is unfair on you but it’s something we feel we have to do”. But no, Health Secretary of the time Alan Johnson almost punched the air in delight announcing it..
Much can be seen in the world media these days about how violent and unhappy a place the world is becoming. We have a rise in hate-crime, we have a rise in world conflicts, we have a rise in violence on the streets, we have rise in violence against the police. The list goes on and on. But ask yourself what is driving this rise in violence and general unhappiness ? The researchers believe that the wide availability of sweet flavours is a factor in the popularity of electronic cigarettes. Especially among youth, they are keen to note (in case anybody has forgotten about the children). Demonstrating a huge grasp of eliquid manufacture, they believe the sweetness in eliquids is created by the addition of sugar, honey and caramel. Ban or restrict vaping.That what the World Health Organization (WHO) encouraged at its tobacco control meeting last week. The Framework Convention on Tobacco Control (FCTC) just concluded its seventh Conference of the Parties (COP7) in Delhi, India. The result isn’t shocking. This is the position the WHO has always taken on e-cigarettes, and the pre-meeting document issued by the FCTC set the stage by being completely focused on the potential harms of vaping without any consideration of the benefit to millions of smokers. The lead author is Adam Leventhal, a University of Southern California psychologist with a history of exaggerated anti-e-cigarette claims (here).